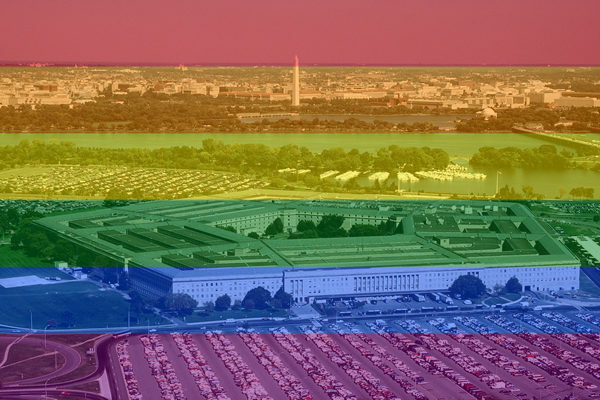 The Pentagon Pride event was held in the aftermath of Trump’s transgender military ban. Pride is supposed to be a time for celebration, but there was palpable tension Monday at the annual Defense Department Pride event as LGBT civilians and members of the armed forces recognized the occasion. That didn’t stop transgender service members — who are free to continue service thanks to court orders against Trump’s military ban — from speaking at the event in the Pentagon auditorium and sharing inspirational thoughts about Pride. 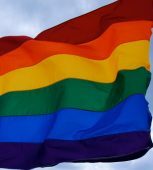 Maj. Jamie Lee Henry, staff internist and a transgender active duty physician at Walter Reed Medical Center, said Pride is a time for “celebration of our humanity, our resilience and our bravery,” but alluded to difficulties under the transgender military ban. Henry, who said she had to find Jesus Christ after learning “we have to find people of character who give us the reins” to be better people, became emotional as she talked about the challenges and had to pause briefly before she could continue. No senior Pentagon official was on the stage for the event, although Sergeant Major of the Army Daniel Dailey and Vee Penrod, acting secretary for manpower and reserve affairs, were seated in the audience, as well as Maj. Gen. Tammy Smith, the first openly gay general officer. Although under the Obama administration Chuck Hagel and Ashton Carter attended the event and delivered remarks, Defense Secretary James Mattis — who recently penned his name to a 45-page recommendation against transgender service — wasn’t in attendance. Matthew Thorn, executive director of the LGBT military group OutServe-SLDN, was present at the event and afterward told the Blade attendees were able to embrace the Pride spirit. 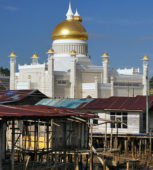 “I think it’s evident from the energy of the people, from the attendance of certain people, including Sgt. Maj. Dailey, that there are individuals in this building, the command and the military structure — both civilian and uniformed — that still support LGBT individuals in service,” Thorn said. Another transgender speaker at the event was Lt. Cmdr. Blake Dremann, a staff officer for the Nuclear Enterprise Support Office at the Defense Logistics Agency headquarters, who attended the event as a recipient of DOD Pride’s Military Leadership Award. “My struggles are wholly different than many of the service members that I have the privilege of leading,” Dremann said. Dremann recalled the story of a transgender soldier who faced significant pushback and admonition during her transition, but “that drove her to be the best that she could be,” and another story of a sailor who came out as transgender after she was promoted to chief, but was able to keep the position and begin mentoring others. “It’s important that President Trump gives transgender service men and women, transgender Americans, the same right to serve their country, and if not, the courts and Congress must repudiate any ban on such service,” Brown said. Members of the audience broke their silence and responded with applause to Brown’s remarks on potential action from Congress and the court against the transgender military ban. Douglas Wilson, who served as head of public affairs for the Defense Department during the early Obama years and was the first openly gay person ever confirmed to a senior Pentagon position, was the recipient of DOD Pride’s Civilian Leadership Award at the event and spoke to that progress. “This is amazing for me because when I was at the Pentagon, there was no such thing as this,” Wilson said. Wilson recalled the time when “Don’t Ask, Don’t Tell” was debated in Congress and having an exchange with troops in the close confines of a tank about having to serve with gay people. Each service member said he had no problem with it. “That is when I knew ‘Don’t Ask, Don’t Tell’ was going to be repealed because I knew then that the military was not separate from the society in which we lived and reflects the society in which we live,” Wilson said. 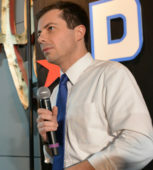 Brown left the audience with thoughts signaling that just as the military became a welcoming place for lesbian, gay and bisexual people, it will one day be the same for transgender people. 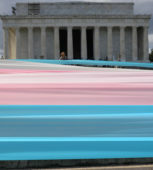 “As we continue this journey, we’ll do so as a society that understands — more so than ever before – that the LGBT community’s story is one part of our larger American story, a story of struggle and hope, or reversal and redemption of a nation that sometimes falls short of our ideals, but that’s always determined to overcome,” Brown said.